“Technology is seductive when what it offers meets our human vulnerabilities. Some questions arise when exploring the new configurations produced by the relationships between bodies, spaces and digital tools, and are fostered by the increasing diffusion of mobile devices. Are we shaped by our tools? To what extent do our daily digital practices shape public spaces? Indeed, the relationships we build in and trough our digital tools redefine notions such as public, space and citizenship producing unexpected entanglement between what is considered public and what is considered private. So, if the distinction between private space - that could be intended as intimate but also as isolated - and public space - that could be intended as the site of social and collective life but also the place of hyper visibility - becomes more opaque, the borders around individual and collective experience of our (online and offline) political life become more porous – in both directions. It’s a matter of which kind of relationships (political, social, or personal) and spaces (intimate, public, or private) we want to inhabit as a consequence of our everyday experiences of connection. It’s a question of (post) human agency with respect to technology; where agency is our potential to feel empathy, to act individually and collectively, to build relationships within, through and outside of digital media. Optimistic views of technologies, which emphasize new possibilities for connection and experimentation, exist concurrently with pessimistic perspectives that focus on the risks of alienation and disaggregation of social bonds. At the core of this ambivalent tension, the body emerges as a contested figuration. On one hand it is dematerialized, digitized and datafied in the digital realm; on the other hand, it is asked to substantively learn new routines and movements in the offline world – whether that is looking down while scrolling timelines with a smartphone, or raising arms towards the sky to take a selfie. In all cases its material configuration is challenged. Sometimes, it seems we are more aware of what is happening online than what surrounds us and our bodies in everyday life, don’t we? This seems to be true whether we are in private spaces (such as when sharing a story on Instagram, lying on our sofa), or in public spaces (such as when chatting while crossing a street, or getting off the bus). If we are often absorbed and fascinated by the digital environment and online performances, rarely do we look at the flow of movements, practices and interactions that occur and are influenced by the digital in offline settings. Nevertheless, it is by starting from the body’s materiality, and how body is signify in offline contexts, that we can possibly understand new challenge and vulnerabilities. Here, the distinction between the physical and digital doesn’t matter; it’s about how we live in, and experience, the public sphere (both online and offline). By “translating” notes taken during the observation of people using their devices in street and squares into a performance (offline) - as the artist has done – it is possible to visually unpack some of the contradictions in which we are all immersed. In stretching, closing, opening, streaking bodies, along with spaces and devices we ask for a new public milieu of encounters, for contemporary (online and offline) public spaces. It is likely that exactly an artistic gaze, a performance, could help us to better understand not only the entanglement between body, subjectivity and digital devices, but even how forms of empathy can be revamped to support us in our daily interactions with the others in online and offline spaces. Ultimately, we are vulnerable. 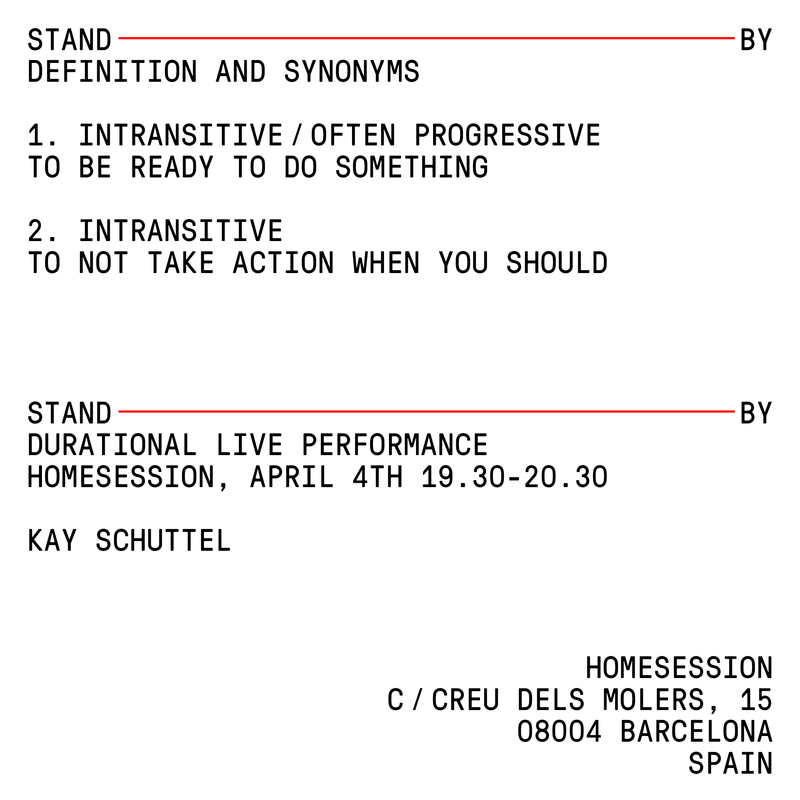 Site-specific performance (choreography and text) and video, 60 min. A choreography in which five performers walk in loops, greeting each other with the rhetorical question: ‘how are you?’ Referring to a film scene in the streets of American suburbia, the sequence is repeatedly enacted and literally rewound in real-time: the performers retracing their steps, walking backwards, to then start again from the top. Upon each encounter the phrase is replayed, each time emphasising the performance of language distanced from its original meaning. Artist-in-Residence: Vermont Studio Center, Vermont, USA. Video- and photography installation, 3 hours video loop and 25 photographs. A work consisting of a three hours video loop, observing tourists capturing the view of the Holy Mountain of Montserrat, accompanied by a series of 25 near-identical photographs of the tourists’ screens displaying their snapshots of the Holy Mountain. The photographs show the perspective of the tourists, the video turns the perspective towards them: the tourists become the subject in the frame. At this heavily visited viewpoint, I was captivated by the echoed repetition in tourists’ behaviour and bodily movements. Returning there daily, I was struck by how everyone took exactly the same photograph. Besides the self-made snapshot acting as evidence for having been somewhere, framing the image (as seen through a device) also offers the possibility to filter and ostensibly ‘control’ reality. The influence of this new way of perceiving has a huge impact on the behaviour and movements of tourists in public spaces. In this video it becomes apparent how these capturing devices direct the movements. A five-channel video installation echoing a live AVRO Radio 4 interview with Van Hengstum and myself. Radio coverage with the aim to describe our artistic process for this visual artwork in words is mirrored by our visual description of the radio interview by means of a camera filming us from outside – looking in through the window of the Torenkamer (Tower room). Radio 4’s incentive to facilitate the production of an artwork and discuss this as a part of their live programme would seem to come from a need to follow and gain insight into artistic processes. Yet paradoxically, through the medium of radio, the process can only be expressed in words while the subject is visual art. From this role as ‘their subject’, by turning our gaze back onto the radio makers, making a visual recording of this radio slot as a key part of our ‘artistic process’, this tension becomes magnified. For the final video installation, the original audio of the radio programme is (re)combined with the visual material from the video camera. Through the combination of interior and exterior footage, an estrangement between the sound and image comes about; though they had originally belonged together they could never be perceived in this particular way. The work was installed in the former Film Museum in Vondelpark, where the original recording had also taken place. Through this mirroring of descriptions throughout its process, production and installation, the work brings a form of mise en abyme into effect. A site-specific audio tour using the exhibition space as an installation to explore the perceptual experience of a room without gravity: allowing the imagination to work against the force of gravity within the space. Based on video material of astronauts in outer space, I explored rotational body movements that give rise to a sense of disorientation and weightlessness. The audio guide encourages the viewer to un-imagine left and right, up and down; just as in outer space, everything is brought into a slow, continual rotation: the wall could be the floor, the ceiling the wall and the floor the ceiling. Using their body to steer their imagination, guided by the audio offering instructions for various physical and perceptual exercises, the viewer is co-creator of a new perspective of space: space without gravity. In turn, audience members become performers, transforming the space into a stage as they enact this gravitational shift in perception: sensing a new lightness in the release and turn of a limb, the slow flex of the spine, rotation of the head, taking a seat on the wall – or rather the floor. The accompanying map shows the walls to be the floor, further ‘unseating’ the audience with the illusion of walking on walls. A site-specific audio tour for the Vrijthof Plein in Maastricht. Members of public were given headphones through which they could hear detailed descriptions of bodily movements and postures that they were in turn invited to adopt. The headphones were also a visual reference to audio guides for tourists. The descriptions are based on my observations of postures and movements of people taking photographs in public spaces. As the audience follow the instructions on Vrijthof Plein an interesting convergence of actors comes about, those who are actually taking photographs and participants of the work who are concentratedly assuming the prescribed posture. The key difference being that the participants aren’t holding an actual camera. The members of public become performers and their various postures form a choreography. However the performer is unaware of the particular action they are mimicking. Through the pace and detail of the description the poses become abstracted and the participant is unable to recognize the seemingly unconscious postures the body adopts when capturing a photograph or video. The apparatus directs the body and frames the view in such a way that these actions become unconscious. While we are taking a photograph, what is visible within the frame has our full concentration – not the posture our body assumes in order to see what we want to capture. An installation comprising an iPad placed against the window, framing a real-time ‘screening’ of what was taking place outside the window, three headphones playing the sound from the microphone I carried with me, and a digital timer. During a performance of 7:30 minutes I traced the space, entering and leaving the screen’s frame, while carrying a microphone to playback the sound of my footsteps over the headphones. As the live ‘recordings’ of sound and image become synchronised within the frame, the abstracted components come together instantaneously transforming my movement through the frame into film. My point of departure was to deconstruct the principle of film by separating its three key components: audio, imagery and time. By means of live performance and real-time playback both in sound and on screen, I bring these key components back into relation with one another in a form that questions the principles of three-dimensional and two-dimension reality and representation. In this work I literally and figuratively trace the edges of the frame in the eyes and ears of the viewer, with the aim to heighten the audience’s awareness of mediated constructions and their effects on our perception. 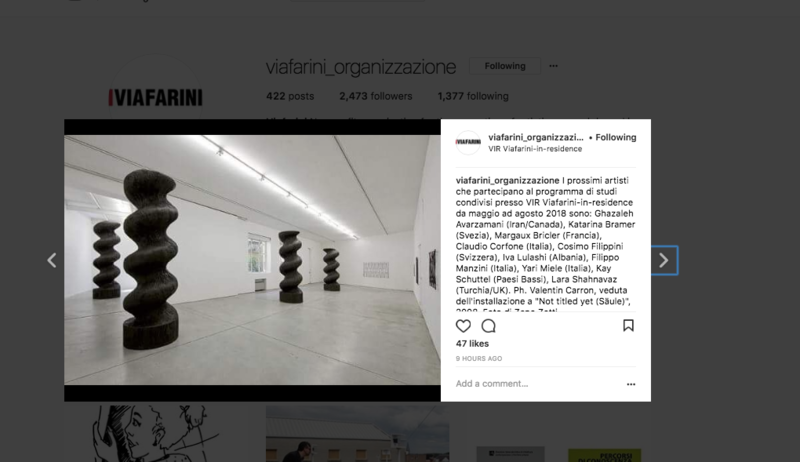 With the principle of a 1:1 representation as our point of departure, we set out to create a work in which its representation takes place in the viewers’ imagination – without the existence of a physical equivalent. The participants of the symposium each received an MP3 player with headphones. The audio track consisted of ten literary passages giving visual descriptions of physical spaces. Based on these descriptions images are formed in the mind’s eye: a 0:0 scale model. This work is a research into the effects of audio in relation to imagery. Two-channel video installation with headphones, 08.00 min. Two-channel video installation simultaneously screening ‘real-life’ conversations performed for the camera and reenactments of the same conversation between college students. In various College Towns in Upstate New York, I asked students if I could capture their ‘real-life’ conversations on camera. After this initial (ostensibly authentic) take, I asked them to repeat their conversation in exactly the same fashion. What was striking in this process was the students’ effortless ability to perform this ‘documentary’ scene and then spontaneously repeat their conversations with uncanny likeness. Instinctively acting ‘natural’, ignoring the camera’s presence: understanding the principles of documentary or reality television was simply a given. By showing take 1 and take 2 simultaneously, I question the authenticity of their conversation in front of the camera, and consider the effect of mediatised reality and reality television. Have this generation become actors within their own lives? Artist-in-Residence, Troy, New York. Screening Free Cinema at W139, Amsterdam. Performance 'Where are you now"
Intrigued by the social codes and unwritten rules embedded in everyday live behaviour, I explore the performative aspects of the habitual. My focus is on the formation of new bodily movements and language generated by the evolution of communication tools, recording devices, and mediated daily rituals. I deconstruct, abstract and reassemble key components from this behaviour – gestures, movements, language and interaction - and stage moments in which these abstracted components are performed in altered forms or different contexts.